Location, location, location… This factor is just as important on the Internet as it is in physical space. However, when you’re talking digital, the destination is more about the name than the place. If you want your company to be easy to find, choosing the right domain name is the ideal first step. Still, there’s bit more to it than that. 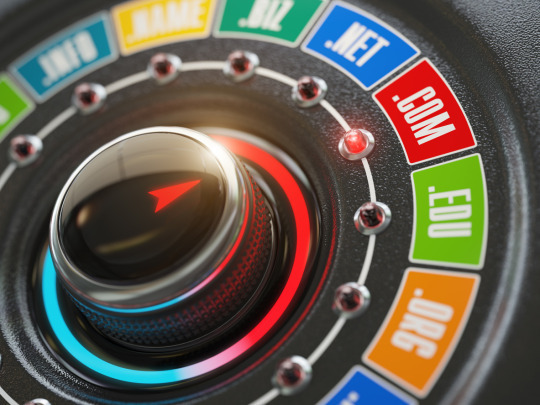 Here’s the smart way to conduct a web domain search. Let’s say you’re selling fruit slicers. If somebody is searching the ‘net for one, the probability of them entering the term “fruit slicer” into a search engine is very high. If your domain name is FruitSlicer.com, guess whose site is going rank highly on the search engine results page? While going literal in that fashion might strike you as being corny, it’s better to be corny and found, than clever and obscure. Before you begin to conduct your domain search, make a list of all the keywords relevant to your endeavor and get one of them. In addition to searchable, think simple. Avoid using hyphens, numbers or anything else capable of complicating its appearance in the minds of the public. Similarly, even though the likelihood of your clients saying your domain name aloud is miniscule, it should “sound good” when they think it. This makes it easier to remember and is more apt to engender positive feelings. If you’ve worked hard to create a brand around your business, it makes sense to extend it into your domain name. Getting back to our fruit slicer example, if you want to be the Kleenex of fruit slicers, use that name in everything that has anything to do with your business. Eventually, when people think fruit slicers, they will envision your products because it’s intuitive. The best play here is to keep it short enough to be easy to remember and spell, but not so short it becomes unwieldy. FruitSlicer.com is perfect. It’s succinct, memorable and describes the business. Plus, it’s difficult to misspell, which means your traffic is more likely to remain your traffic, rather than being siphoned off by a usurper capitalizing on spelling errors. It also makes perfect sense for somebody looking for a fruit slicer to consider it, so it’s intuitive. Yes, there are all sorts of wonderful new extensions out there now and they present some rather clever naming opportunities. The vast majority of the public is accustomed to .com. It’s the most often used and easiest to remember. Still, if a .com isn’t available, you can always find a .biz or a .me instead. Before you fall madly in love with a domain name, run a search to ensure it doesn’t violate an existing trademark. And yes, it is entirely possible to register a trademarked name for your domain if the owner hasn’t done so. However, that won’t make it yours. You can be sued and forced to change it. To that end, once you have yours locked in—trademark it. Conducting a web domain search with these tips in mind will help you come up with something readily searchable, brandable, memorable and most of all—yours alone. Get started by visiting Yahoo Small Business today!